Plymothian Transit: Fancy a Dash to London? Fancy a Dash to London? CITY airline Air Southwest has today announced it is ‘set to revolutionise travel between Plymouth and London’ with a new route flying direct from Plymouth to the heart of the capital. 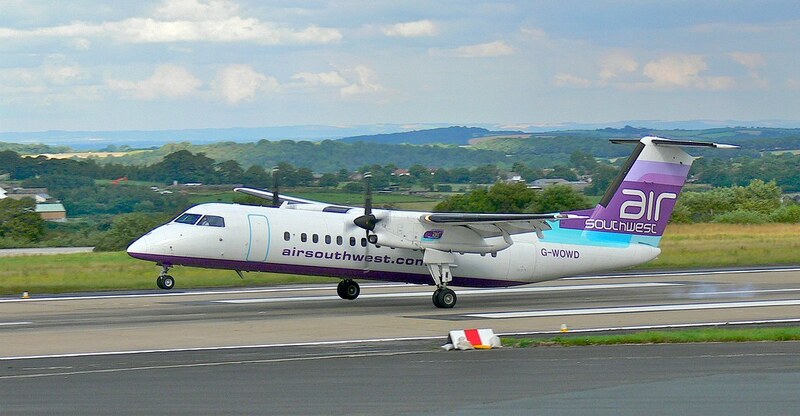 The airline has announced a new twice-daily direct service from Plymouth to London City Airport which it pledges will ‘fly to the heart of London in just over an hour’. The comments are as usual most entertaining! But its not the train they are trying to compete with, FlyBE have just moved onto then NQY to London Gatwick route. Plymouth is safe from them - the Runway is too Short for a large Dash 8 (Q400) and an Embraer 195 certainly won't get in there!